Business Analysis is about understanding what the business needs. It’s been around for a long time, and we’ve all done Business Analysis in some way, shape or form in the execution of our IT related activities. It happens during Application Lifecycle, or else we would not know what to build. It also happens as part of Service Management, so we know what services to provide. It is also a lot easier SAID than DONE. But what exactly is Business Analysis anyway? And who should be doing it? 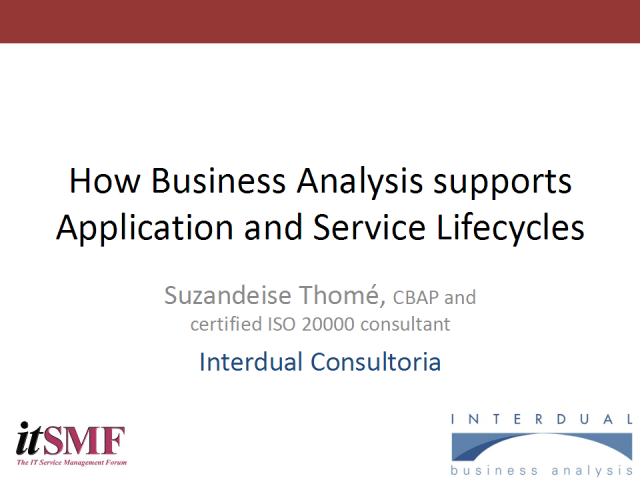 Join this webinar and find out how you can use Business Analysis to improve Application and Service Management Lifecycles.